U.S. sales of the Ford Explorer, America’s best-selling three-row vehicle, declined for a sixth consecutive month in October 2016, falling by a tenth to 18,597 units. Explorer sales are down 2% to 207,022 this year, well in excess of other family-oriented utility vehicles. The Toyota Highlander, however, jumped 33% to 17,668 units in October, 1532 sales ahead of the Police Interceptor-excluded Explorer. Persistently constrained by supply, Honda Pilot volume was down by a third in October. 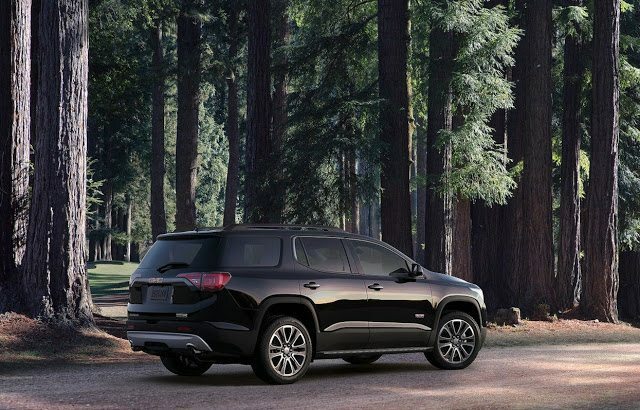 With roughly the similar level of volume, sales of the GMC Acadia, new this year, were up by nearly a quarter. At a similar price point but with only two rows, Jeep Grand Cherokee volume continues to grow. The Grand Cherokee, Jeep’s flagship, now trails the smaller Cherokee by only 84 sales, year-to-date. 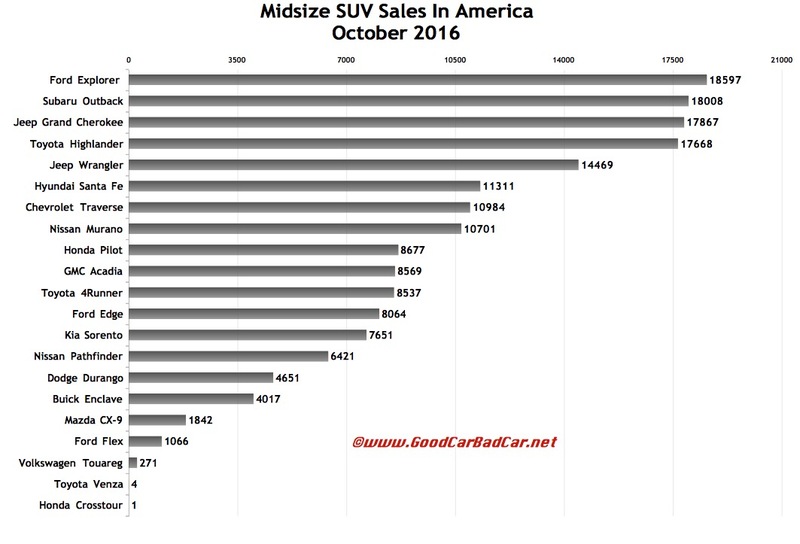 You can click any model name in the tables below to find historical monthly and yearly U.S. auto sales data. You can also select a make and model at GCBC’s Sales Stats page. These tables are sortable, so you can rank midsize SUVs and crossovers any which way you like. Mobile users can now thumb across the tables for full-width access. Suggestions on how GCBC should break down segments can be passed on through the Contact page.